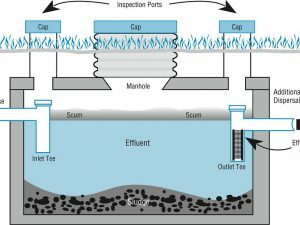 Septic drainfields can be an expensive investment if not taken care of properly. But like the new home that you put time and effort into, you want your yard to reflect that as well. This is where landscaping comes in. Let’s face it, who doesn’t want their yard to look nice? Well, if you have a septic system and drainfield, you need to tread carefully. Which is why we created this guide to landscaping your drainfield. Never plant trees or woody plants and shrubs near the septic tank and drainfield. The aggressive root systems can penetrate your septic system causing expensive headaches in the future. Another reason to keep trees and such away from the septic drainfield is because you don’t want too much shade over your drainfield. The more sun the drainfield receives, the better it will work. Always wear gloves and wash your hands thoroughly when working with the soil above the drainfield. Not only will you protect your hands, you will need to wash your hands after potential contact with harmful bacteria. Never plant vegetables on or near your drainfield. You can risk bacterial and viral contamination from the effluent. Keep excess water off your drainfield such as from irrigation. Also try to direct the water from your gutters away from the drainfield. Be careful digging/tilling over the septic drainfield, as you never know how close the drain lines may be to the surface. Also, never add additional soil over the drainfield unless it is a minimal amount used to restore an area that may have been eroded or pulled up from removing another plant. Minimize traffic over the septic drainfield, meaning, plan for minimized foot traffic and activity over the area as well as keeping heavy equipment, vehicles or heavy animals off the drainfield. Compacting the soil in the septic drainfield can ruin the absorption and filtering process. Keep the mulch layer to a minimum so as to not restrict evaporation of the moisture in the soil. 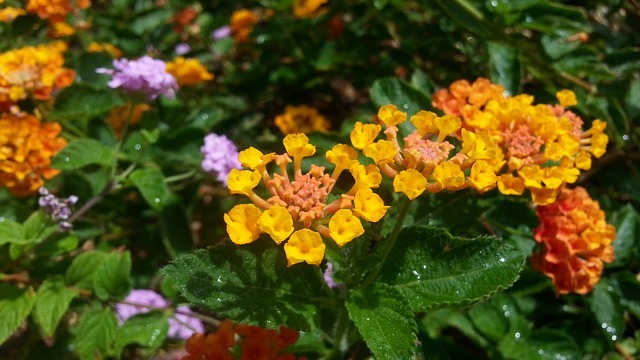 What Kind Of Plants Are Safe Near A Drainfield? The best plants for landscaping near your drainfield are those with shallow roots that are not excessively water-loving. Shallow-rooted herbaceous plants such as annuals, perennials, bulbs and ornamental grasses are usually the best choices for use on a septic drainfield. Other shallow-rooted herbaceous plants include turf grass, weeds and many ground covers. Remember, larger plants have larger root systems, so tall grasses, shrubs and plants are not recommended. However, mixes of wildflowers, grasses and bulbs provide an attractive cover. The key is to do your research on the type of vegetation you want to include in your landscape. Septic tank risers allow maintenance and inspections to go smoothly. On the other hand, risers can also be an eyesore. So what do you do? First, it’s important to remember that these risers must remain accessible to service inspectors and providers. Never bury the riser and try to always keep the area around the riser manicured. Keeping the area trimmed will also help keep snakes and rodents away. You can purchase fake rocks, fake wells and birdhouses, which can camouflage the risers while making your yard more appealing. Although risers are durable, it is not wise to plant trees or shrubs near the risers as the root systems can still cause expensive damages to your system. Although we highly recommend keeping trees and shrubs away from your drainfield, if you absolutely must have one, follow these guidelines to keep from damaging your septic system. Shrubs with less aggressive root systems should be planted at least 10 feet away and small, less aggressive trees no closer than 20 feet from the drainfield. Another method to use when planting trees is to plant the trees as far away as their estimated root spread at maturity. One rule of thumb is that roots extend out from the tree two to four times the diameter of the canopy. Another rule is that tree roots spread out one to three times the height of the tree. These calculations are the bare minimum so to be on the safe side, the trees should be planted even further away from the drainfield. Just because you have a septic drainfield, doesn’t mean the yard in front of your home can’t look well kept. Follow these tips for landscaping your drainfield and you should have a great looking yard while preventing any expensive damages in the future. If you have any concerns about your septic system, give us a call at Lapin Services and we’ll be glad to help. 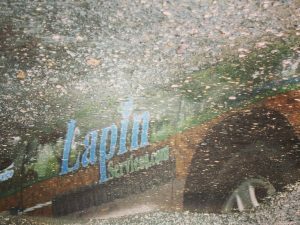 For your Plumbing, Septic Tank, Drainfield or Commercial needs please call Lapin Services.